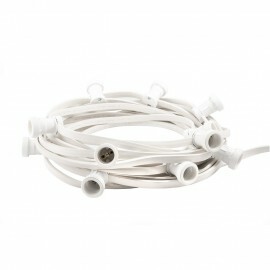 A very long light garland in white, which you can configure according to your individual needs. 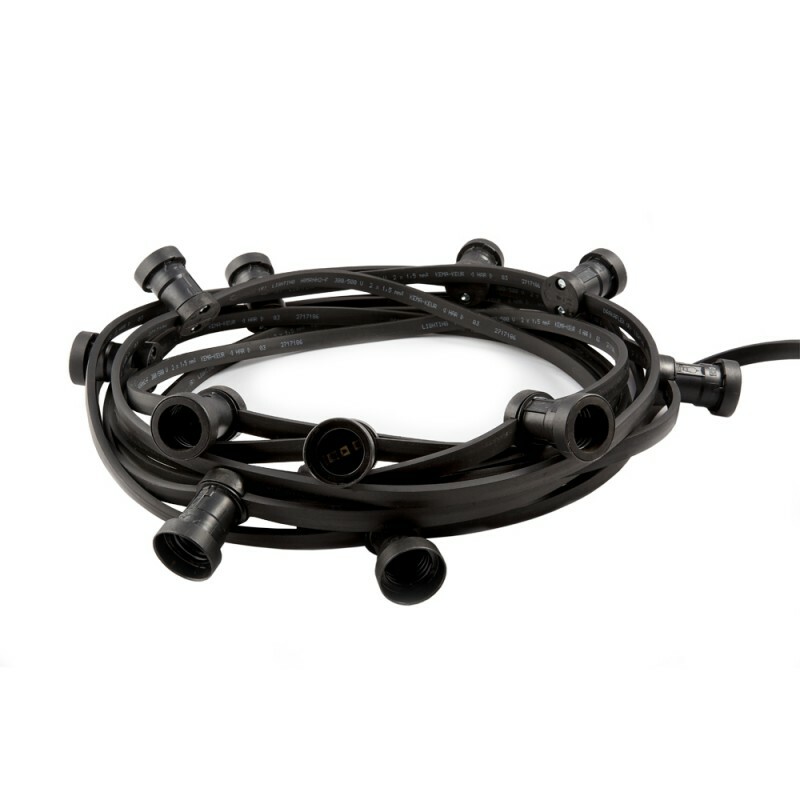 The festoon chain finished with a hook that makes it easier to hang or finished with a loop-through female plug (+50 PLN), which allows you to connect another festoon chain..
50 - 100 bulb holders 250V, 16A, thread E27, IP44 equipped with silicone ring protecting against moisture and low temperatures, suitable for use with energy-saving and LED bulbs. Are you interested in a different length or spacing of frames? Write us a message: sklep@girlandaswietlna.pl. We will prepare an offer for a garland up to 100m long, tailored to your individual needs. If you have doubts about how to connect the lamp, contact a qualified electrician.